I know what you’re thinking–because I thought so too. But believe me, you’re wrong. I was wrong. These meatballs have been in our go-to meal rotation for almost a year now, and the nights these beauties grace the table, everyone is happy. Granted, who wouldn’t like a meal that is served with noodles (bowties, of course) and hot bread slathered in butter & garlic? And, as an added bonus: I love it because it uses up all those odds and ends that just seem to hang around the fridge. 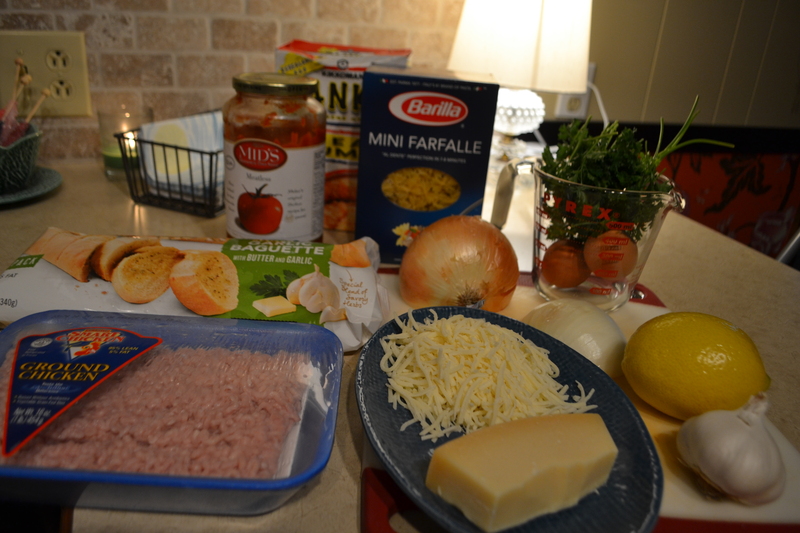 Make these chicken parm meatballs for your family–and I bet you too will defy the odds with ‘must-make’ chicken meatballs. 2. 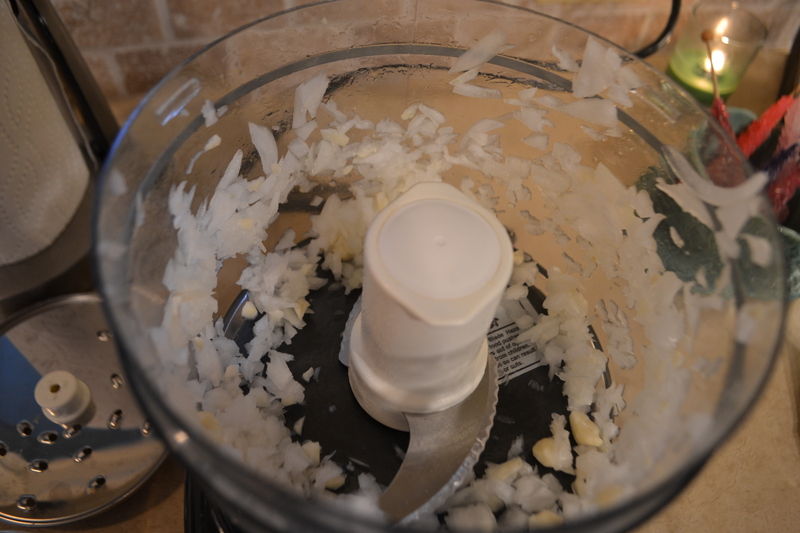 Fit your food processor with the multi-purpose blade. 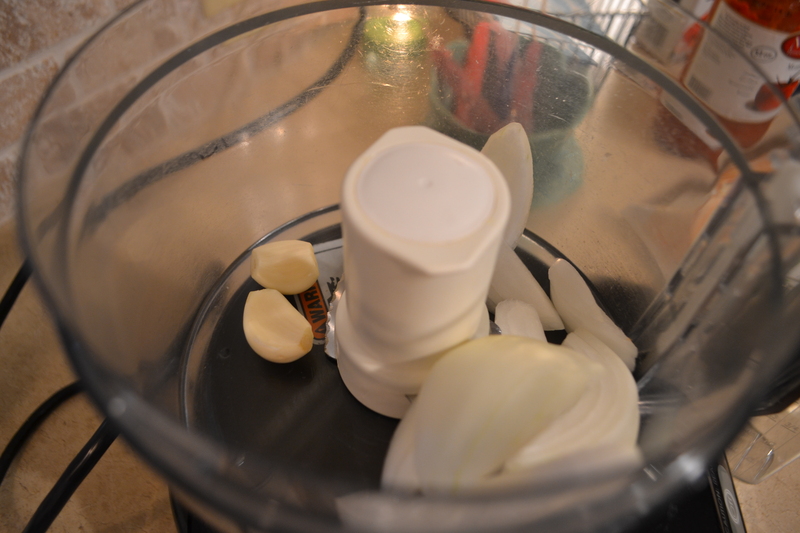 Add 2 cloves of garlic & 1/2 white onion. 4. 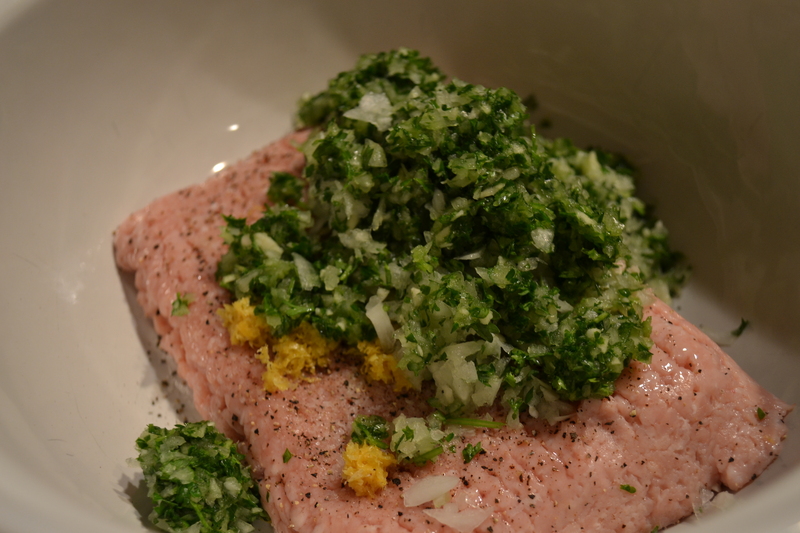 Add parsley & pulse until mixture resembles fine mince. 7. 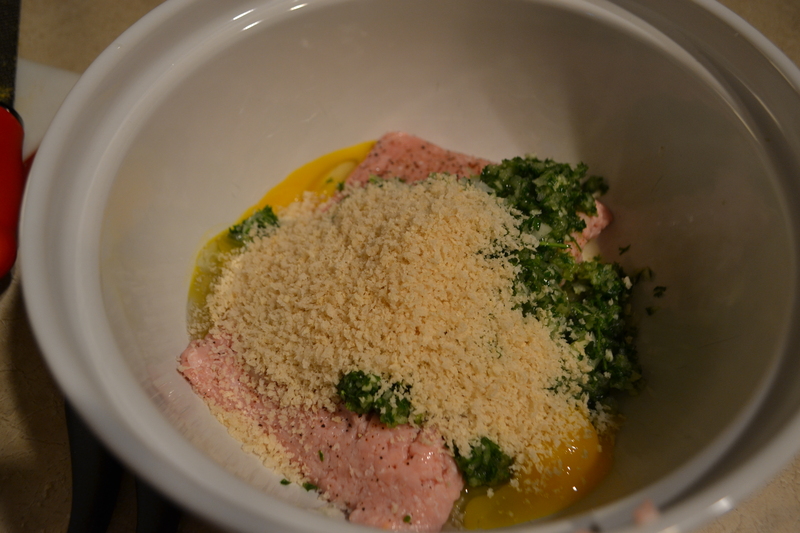 Add parsley mixture from food processor to ground chicken. 9. 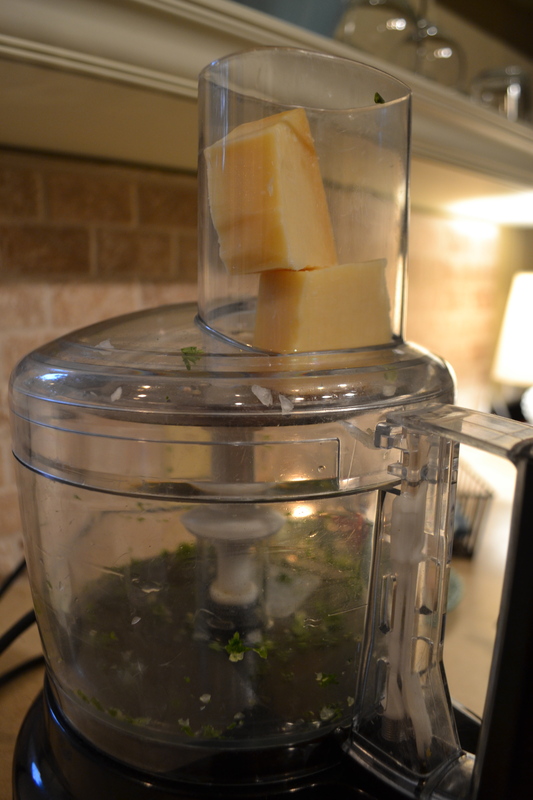 Fit your food processor with the shredding blade (it’s not necessary to clean your bowl) and shred a small chunk of parmesan cheese (approx. 2 Cups). 10. 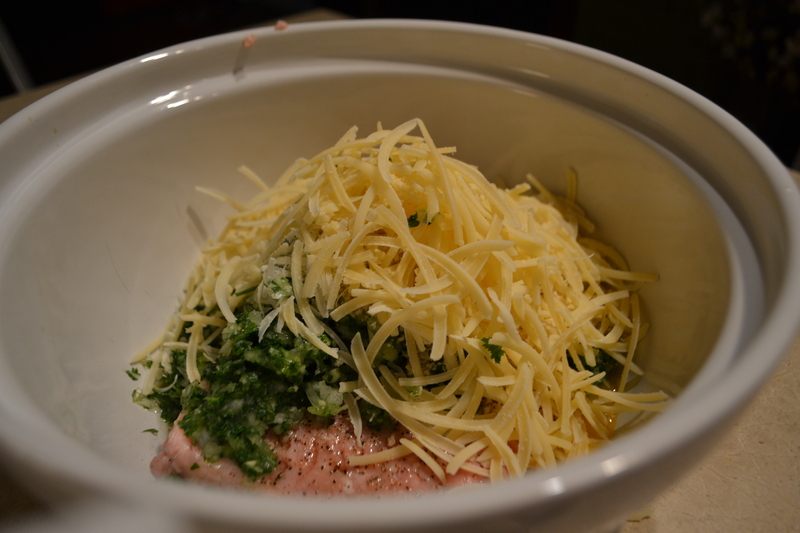 Add cheese to bowl and mix to combine, being careful not to overmix meat as this will cause your meatballs to be tough. 11. 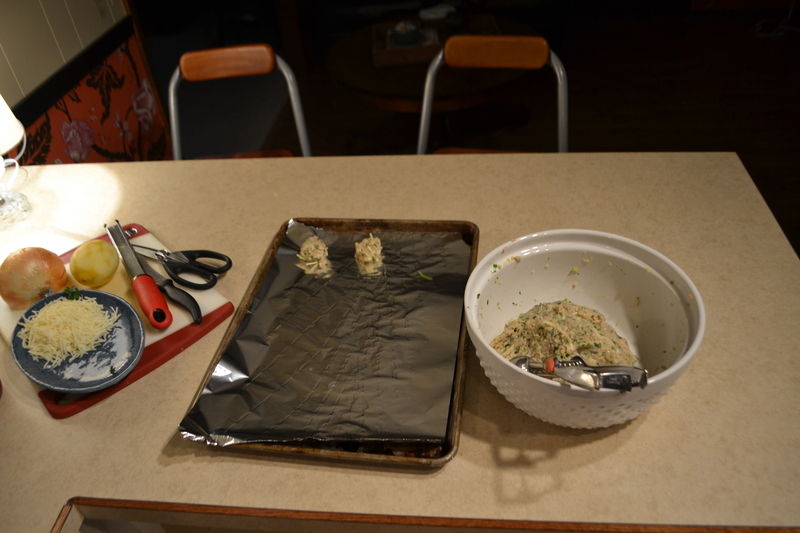 Use a medium-sized cookie scooper to put meatballs onto a lined cookie sheet. 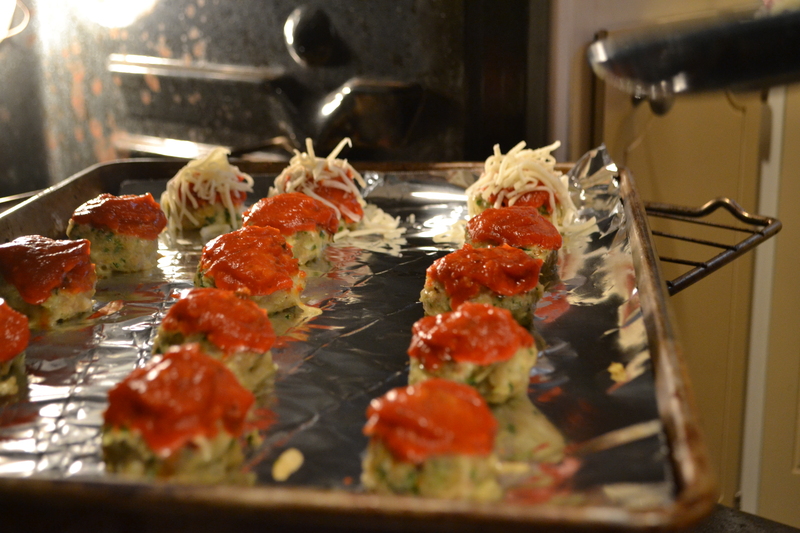 Bake in a 425 degree oven for 15 minutes. 12. 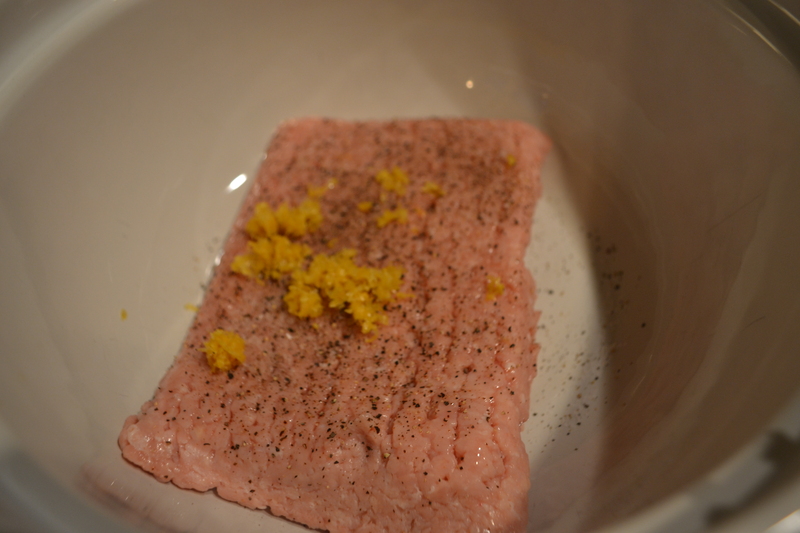 After baking for 15 minutes, the meatballs should be slightly brown on top and firm. 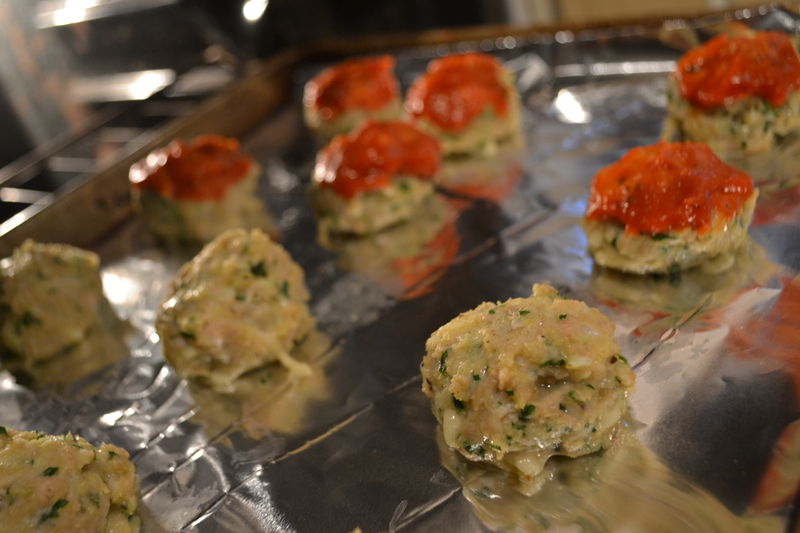 Brush each meatball with pasta sauce & bake for another 10 minutes. 13. 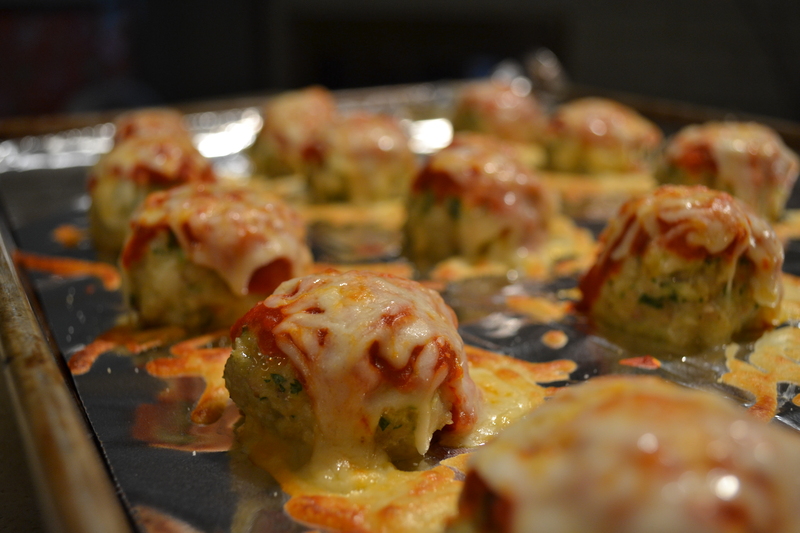 Top each meatball with parmesan cheese and return to oven, baking (or broiling) until the cheese is brown and bubbly. 14. 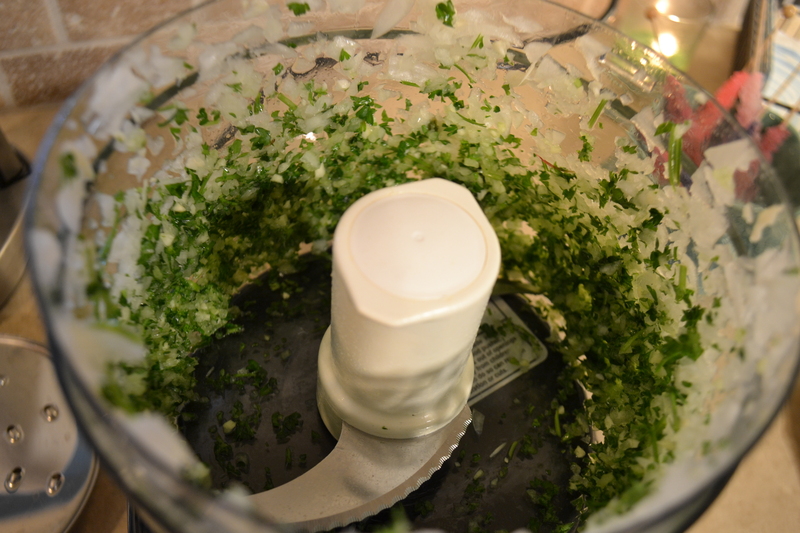 Serve over noodles & sauce with hot garlicky bread. Enjoy! 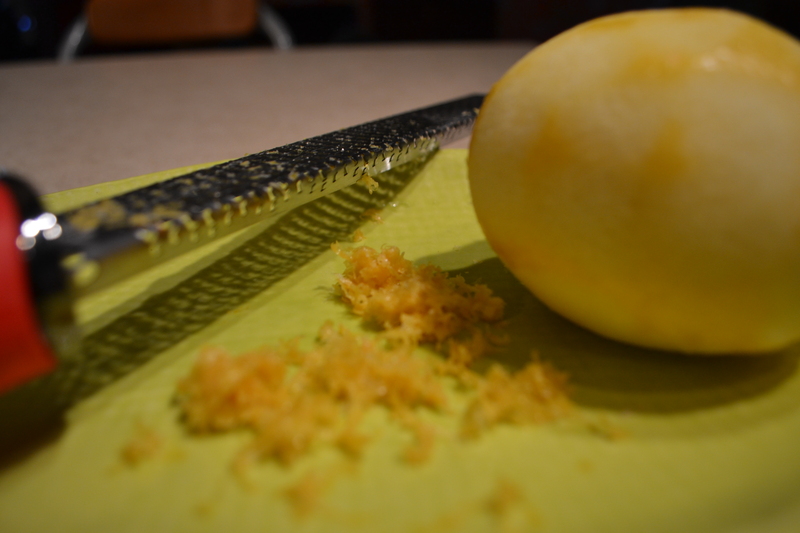 Previous Post from Pin to Plate! Next Post Let’s make blueberry crisp!